Oscar-nominated writer director Taylor Sheridan (writer of Sicario and Hell or High Water) concludes his American Frontier Trilogy with WIND RIVER, a tense and suspenseful crime thriller that battles against the elements and cultural differences in the American wilderness, starring Jeremy Renner and Elizabeth Olsen. 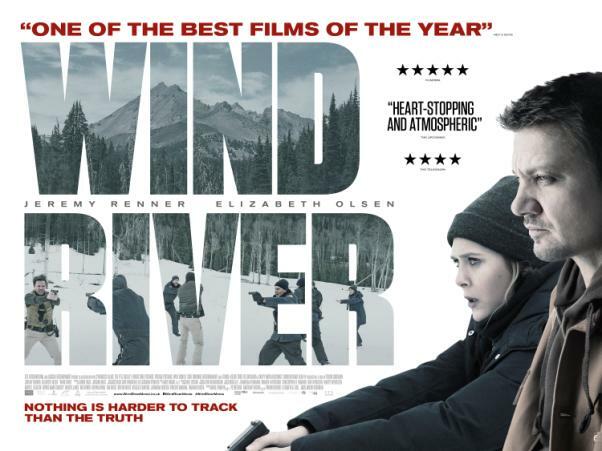 US Fish and Wildlife Service agent Cory Lambert (Renner) discovers the body of a young girl in the rugged wilderness of the Wind River Indian Reservation. The FBI sends in rookie agent Jane Banner (Olsen), but she arrives unprepared for the oppressive weather and isolation of the Wyoming winter. Employing Cory as a tracker to help her navigate the unfamiliar landscape, the two venture deep into a world ravaged by violence and the elements.